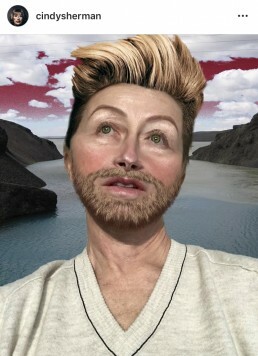 CHICAGO- Cindy Sherman is an artist famed for her chameleonic powers of metamorphosis. Her oeuvre consists of dozens of photos of herself, and yet they can barely be defined as self-portraits; each picture features the artist in a different disguise, playing the part of a different person. Although her subject matter and the social issues she has addressed have varied over the course of her career, her work has always been concerned with the general overarching themes of representation, self-exhibition, and identity politics. Relatively recently, Sherman created an Instagram account and began posting digitally-modified images of herself, prompting people to begin speculating about what the migration to Instagram is saying about the artist and the new work she produces. To begin, it might prove useful to recognize the difference in tone between Sherman’s official, gallery-exhibited artwork and the photos she posts on Instagram. The very nature of the gallery valorizes the artwork, even in the case of art defined by institutional criticism. This might be an historical vestige of the exclusivity of salons and the art economy. Regardless, this is replaced on Instagram with the validation given by likes, comments, and follower counts. Opening up critique to a massive, unspecialized cyber-public seems to imbue her Instagram pictures with a sense of informality that is only bolstered by the fact that they are interspersed with more casual, perennial posts such as the ones of her recent trip to Shanghai. In a way, the art is more democratic and even more accessible when exhibition bureaucracies, including the publication of essays and reviews by curators and art critics, are sidestepped and the art is no longer immured within the gallery. Even before her discovery of Instagram, Sherman’s art was approaching this end of forming rapport with as many people as possible. “I am trying to make other people recognize something of themselves rather than me,” Sherman has said of her artwork. 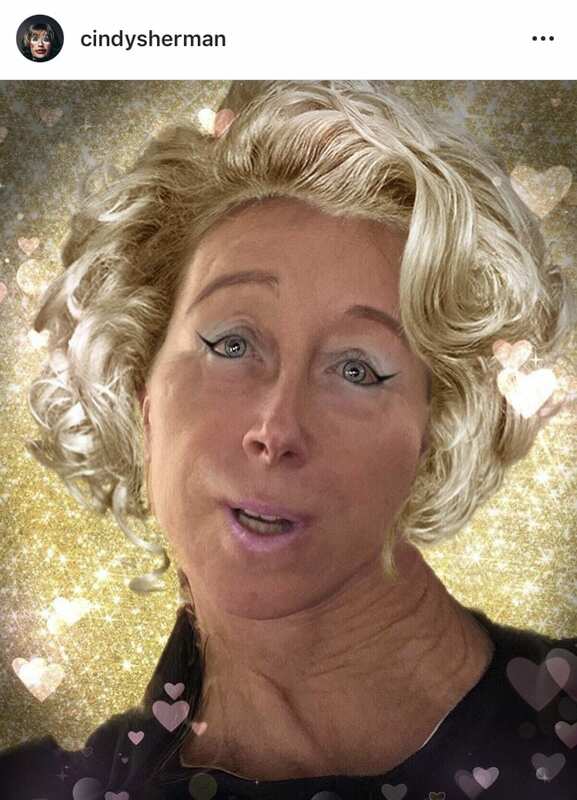 “Playing with new app!” from Cindy Sherman’s Instagram account, posted Oct 11, 2017. 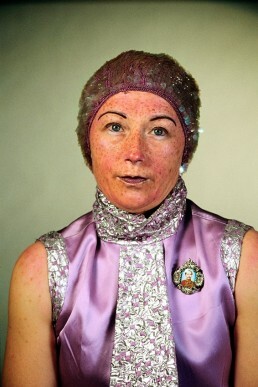 This is not to say that Sherman’s past work is devoid of playfulness of humor; on the contrary, it can even be said that playfulness is at the very core of her art-practice and that many of her photographs, particularly from her Head Shots series, invite viewers to laugh at her and themselves. 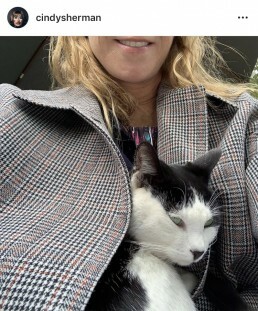 Hence, it is likely that Sherman considers Instagram a platform to showcase her aesthetic experimentation and exploration of new technologies which had hitherto not been available to her. 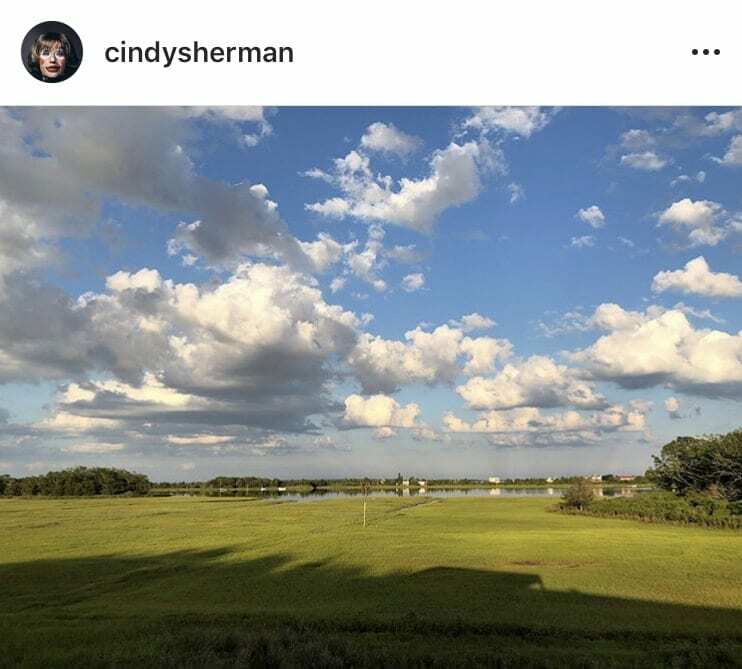 “Ahoy”, From Cindy Sherman’s Instagram account, posted May 11, 2018, and “Got my blonde on”, From Cindy Sherman’s Instagram account, posted Jan 22, 2018. This informality raises not only the question of what Sherman may be trying to say with her Instagram selfies, but also whether her new images even can carry the same political and social weight as her official work given their origins in the realm of social media. 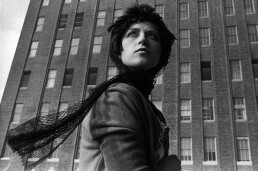 In the Untitled Film Still series of 69 photographs, for example, Sherman casts herself as the unnamed heroine of several hypothetical films that were never actually made: the images are captivating for their cinematic quality despite their photographic origins. Though plotless, the artist stages them in such a way as to suggest narrative by stylistically mimicking and evoking the tropes and stereotypes of the films of that era. 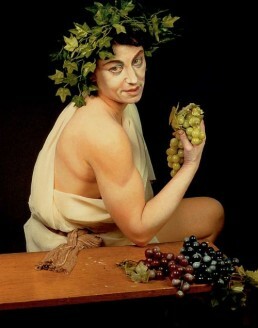 In another series, she photographically recreates paintings taken from a long history of European portraiture, putting herself in the positions of nobility, artists, and even gods. 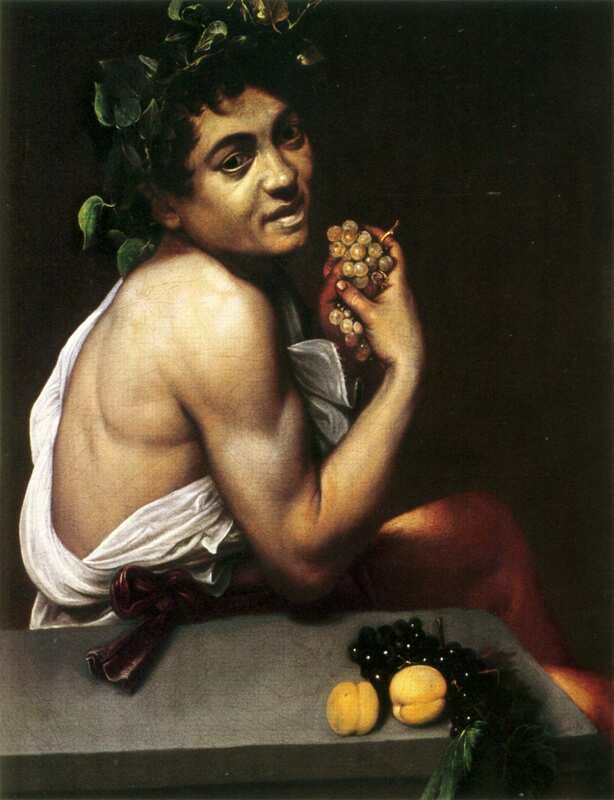 In one, she is Raphael’s lover as he paints her in La Fornarina, while in another she is Caravaggio himself, portrayed as a Sick Bacchus. 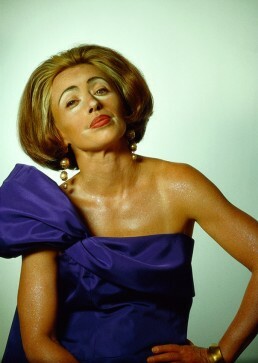 Sherman does not try to conceal the appropriative nature of these photos, allowing viewers to see, in the former painting for instance, that she uses prosthetic breasts, or wigs, or lenses, and so on. There’s an artificiality to the photos but an uncanniness all the same: they seem to place this woman in ridiculous amounts of cosmetics and prosthetics in position of upper-class high society members as if to subvert their positions of authority within the art historical canon. Perhaps her digitally-modified photographs on Instagram are meant to say something about selfie culture and the sometimes-extreme lengths people strive for in order to present themselves in a certain light. Maybe they are meant to highlight the absurdity of a virtual sphere like the Internet, where one is able to create countless avatars, even nonhuman ones, for themselves and, in some communities, be taken quite seriously for it. Raphael, La fornarina, Oil on Wood, 85x60cm, 1518-1519, Rome, and Cindy Sherman, Untitled #205, Chromogenic Color Print, 135.89×102.87cm, 1989, Los Angeles. 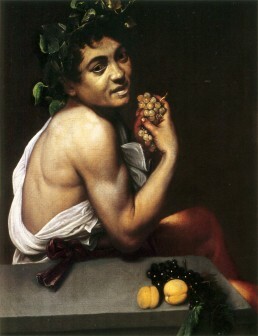 Caravaggio, Young Sick Bacchus, Oil on Canvas, 67x53cm, 1593, Rome, and Cindy Sherman, Untitled #224, Chromogenic Color Print, 121.9×96.5cm, 1990, Los Angeles. Furthermore, digital-editing is all but new to Sherman; she has been using green screens to digitally add backgrounds to her characters since the late 2000’s. 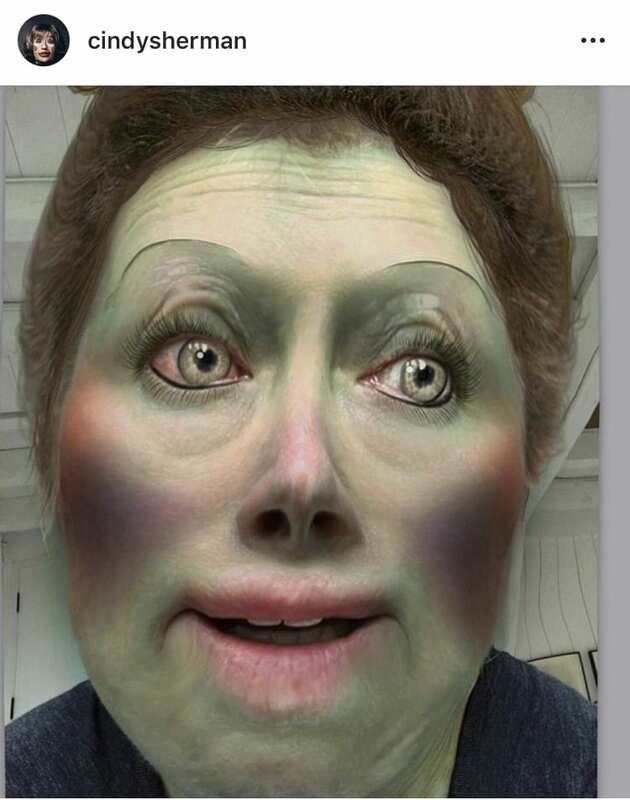 Similarly, she had also been experimenting with the concept of the grotesque around this time, as in her Head Shots series, in which excessive amounts of makeup and prosthetics work to distort her features. However, on Instagram, Sherman posts pictures of figures whose faces are so distorted as to not even register as real. Perhaps the older work comments on facial and bodily modifications, and the aspiration of people towards certain physical attributes as well as their material capabilities to effect those changes -except the artist takes these transformations to grotesque extremes. Even then, people can still look at the photos and place themselves in the shoes of Sherman’s impersonations. This is not quite as possible with the Instagram selfies: portraits so liquified and molded that they transcend the human category. Some might find them humorous (Sherman’s captions indicate that she certainly enjoys the play involved in creating them), while others might find them disturbing. 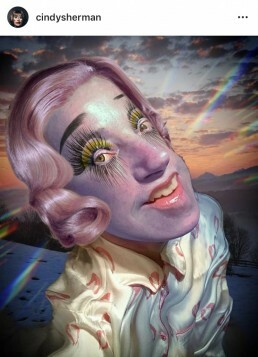 Do the alien faces on Instagram touch upon a human fascination with the extraordinary, exotic, and eccentric? Is she commenting on the increasingly absurd modern-day capability to create cyber-personas completely at odds with one’s real person? The photos are surreal and yet commenters still manage to liken them to themselves or others: has digital manipulation opened the door to expressionism for Sherman? 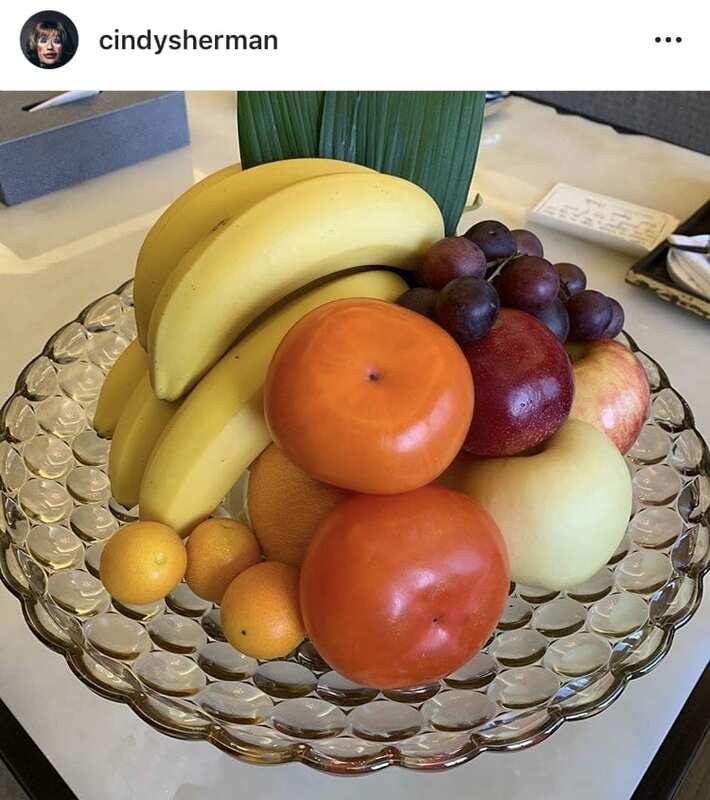 Given the informality of her Instagram account, which shirks the conventions of captioning artwork in favor of frivolous social media captions, is Sherman even at all obligated to provide her viewers with anything with aesthetic value or socio-political depth? “Feeling Perky”, From Cindy Sherman’s Instagram account, posted Nov 9, 2017, and “Time for a detox!”, From Cindy Sherman’s Instagram account, posted Oct 24, 2017. 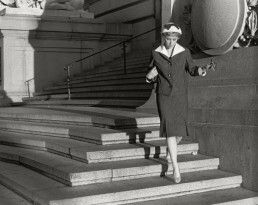 Sherman has always explored the limits to which she can take her body as the template for other bodies and other identities and stories, proving, often in shocking ways, how fluid human character is as a function of appearance. On Instagram, she takes this pursuit to new lengths which encompass above-human and transhuman characters that might very well be more human than the human-passing characters in her older work. In a recent New York Times piece, the Instagram selfies are branded as “Artwork”. Sherman forces critics and followers to question the criteria for artistic legitimacy in the art world: can the New York Times label her Instagram selfies as “Artwork” because of Sherman’s reputation and career or because they in themselves merit that distinction? 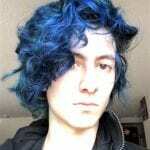 Would other users of the same apps the artist utilizes earn the same validation that Sherman receives? In other words, what is the relationship between her work on Instagram and the photographic work of her older portfolio? Cindy Sherman, Untitled #400, Chromogenic Color Print, 91.4x61cm, 2000, New York, and Cindy Sherman, Untitled #351, Chromogenic Color Print, 76.2×50.8cm, 2000, New York. In one of her Instagram photos, Sherman edits herself onto the cover of what appears to be a beauty magazine, heavy wrinkles and bedraggled expression complemented by some rustic spring makeup around her eyes. 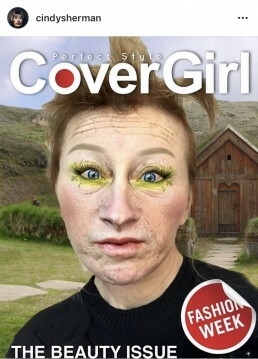 It recalls an older work by Sherman: Cover Girl (Mademoiselle). Perhaps, then, the migration to Instagram marks an organic evolution of Sherman’s art practice, a transition on par with the way such social media platforms have changed the way we look at each other, ourselves, and the selves we want to be. 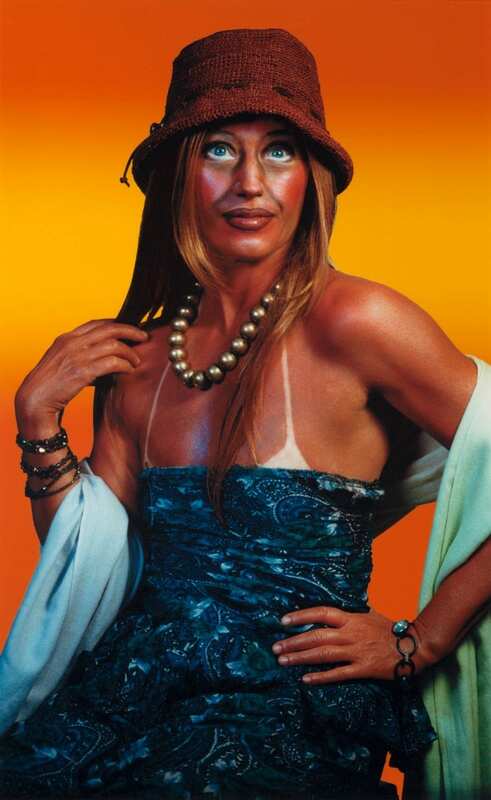 Cindy Sherman, Cover Girl (Mademoiselle), Three Gelatin Silver Prints, 26.7×20.3cm, 1975/2011, Los Angeles, and from Cindy Sherman’s Instagram account, posted Feb 6, 2018. Cindy Sherman, Untitled Film Still #22, Gelatin Silver Print, 19.2x24cm, 1978, New York, Cindy Sherman, Untitled Film Still #13, Gelatin Silver Print, 24×19.1cm, 1978, New York, and Cindy Sherman, Untitled Film Still #58, Gelatin Silver Print, 16x24cm, 1978, New York. Follow Cindy Sherman on instagram.